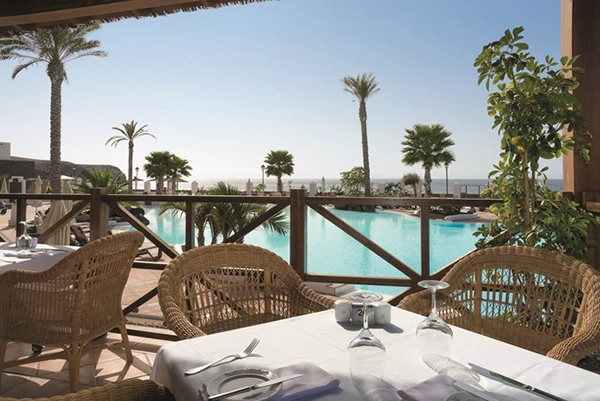 Located in beautiful Playa Blanca in the south of Lanzarote, the luxurious 5-star Gran Castillo Tagoro Family & Fun offers guests first class accommodation and is in an ideal location for accessing the seafront, great for both couples and families. The hotel showcases Spanish villa-style rooms in romantic whitewashed buildings, surrounded by lush green tropical gardens and was inspired by the famous local castle Castillo de San Jose. The Gran Castillo Tagoro has many different options when it comes to choosing your room, deciding which to go for may be harder than you think. The design, layout and space found in every one of the rooms makes them perfect for families, however we also have adult-only options in specially designated quiet zones of the hotel if you're looking for an extra relaxing break as a couple. There is sure to be one that suits your holiday needs. Don't worry, whichever you choose they're all fantastic! There are culinary offers to to meet everybody’s expectations. From international recipes to more typical regional specialities from Lanzarote and the more exotic flavors of faraway countries. You will be delighted to taste our selected cuisine with all its aromas and fragrances. There are also three bars to choose from, Snack Bar 'las cascada', Salon Lounge Bar 'Castillo' and the Sports Bar. At the Hotel Gran Castillo Tagoro you will find 11 fantastic salt water pools. All of them are heated, except one. This means that you can enjoy them 365 days a year to enjoy the sun and Lanzarote’s pleasant climate. At the day ends, the night's entertainment and shows begin. A stunning display of lights and colour. 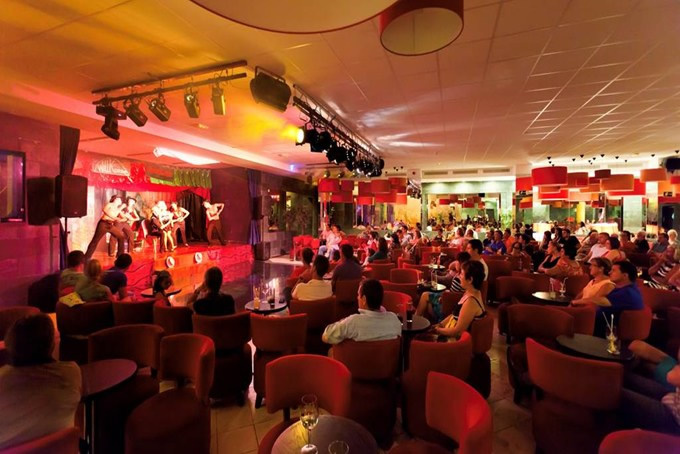 Fantastic musicals, performances and lots of music and rhythm are the main features of an evening at our hotel. The place to enjoy it, along with a good cocktail, the Castillo Lounge Bar. 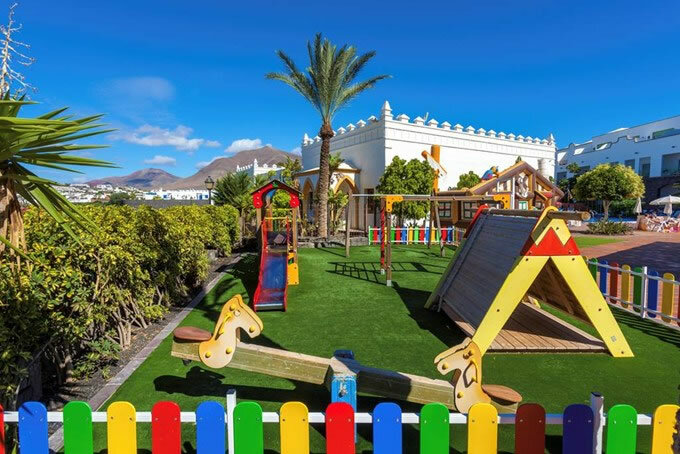 The Gran Castillo Tagoro provides a huge range of facilities for its guest's holiday including a great range of facilities to keep the children entertained including the Ball Pool 'a multi-coloured maze of fun', the Interactive Corner ' with Playstations and interctive games', a mini football pitch and the Craftwork area where the childrens creativity can run wild. 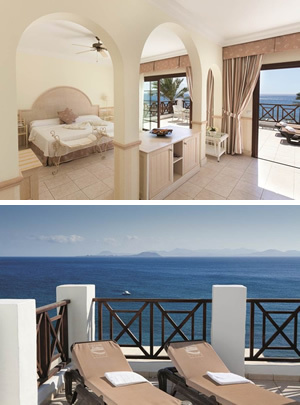 For the adults there's the Vitanova Spa and the You & Me Suite.